Product information "Graham Bonnet Band - The Book (Ltd.Gatefold Black Vinyl, 180 Gramm)"
 and God Blessed Video (from Disturbing the Peace), became staples of MTV, then in its infancy. Bonnet has maintained an active solo presence throughout most of his career, releasing albums periodically including the eponymous Graham Bonnet (1977), which was a hit in Australia, No Bad Habits (1978), Line-Up (1981), Here Comes the Night (1991), Underground (1997) and The Day I Went Mad (1999). The single Night Games (from the Line Up album) reached number 6 in the UK charts. He has recorded and toured with a wide-range of other artists and released albums with bands such as Impellitteri, Forcefield, Blackthorne and Japanese legends Anthem. Bonnet has a powerful and distinctive vocal style and, indeed, a distinctive image  preferring to let the music, rather than the conventional heavy metal look, do the talking. The Graham Bonnet Band has spent the last 12 months touring solidly around the world, with performances at several major European festivals including an acclaimed set at Sweden Rock 2016. The debut Graham Bonnet Band album 'The Book' sees Graham returning in fine form, with an album that is his best in decades: 11 new tracks that will blow heavy rock fans away! Also included with the new album is a 16 track cd of re-recorded classic tracks from Graham's career. 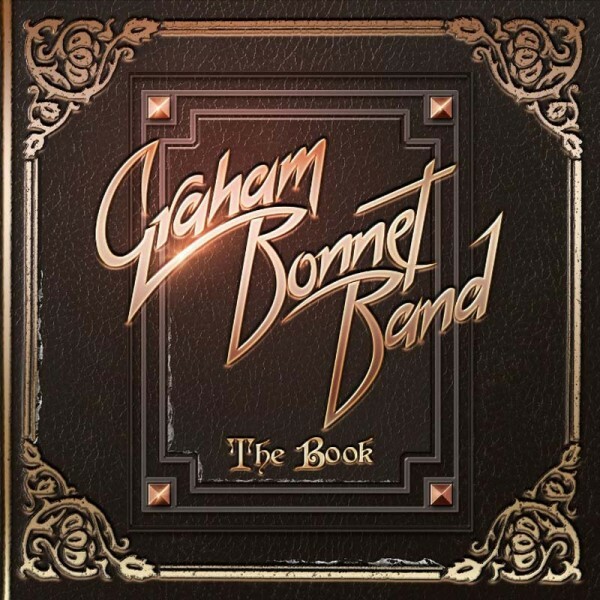 Related links to "Graham Bonnet Band - The Book (Ltd.Gatefold Black Vinyl, 180 Gramm)"
Customer evaluation for "Graham Bonnet Band - The Book (Ltd.Gatefold Black Vinyl, 180 Gramm)"